Moving from a Lumia 1520 to the new Lumia 950 can be a bit of an adjustment in more ways than one. Those of us going from the heavier 6-inch screen of the Lumia 1520 down to a featherweight 5.2-inch screen of the 950 can take a bit of relearning, as well as readjustments to the new screen ratios. Understandably, anyone coming from a larger screen Lumia such as the 1520 or the 640 XL may fear losing out on their information-dense Action Center or Start Screen due to reduced screen real estate. Fear not, Microsoft has made a few software tweaks with Windows 10 Mobile that enable smaller screen Windows phones to feel just like their larger screen big brothers. To enable or regain an information dense Action Center or Start Screen follow the steps below. Adjust the cursor under Size of text, apps, and items on this display. Note: The lower the percentage, the smaller elements on the screen will appear. While the cursor will go as little as 300% and Microsoft recommends 400%, I’ve found that 350% is a suitable compromise. At 350% elements are small enough to add a fifth utility title on the Action Center as well adding a fourth column of Live Tiles to the Start Screen. There you have it, an additional row of Live Tiles for the Start Screen as well as a added utility tile to the Action Center should have you comfortably navigating your new device as if it was your old one, in a good way. 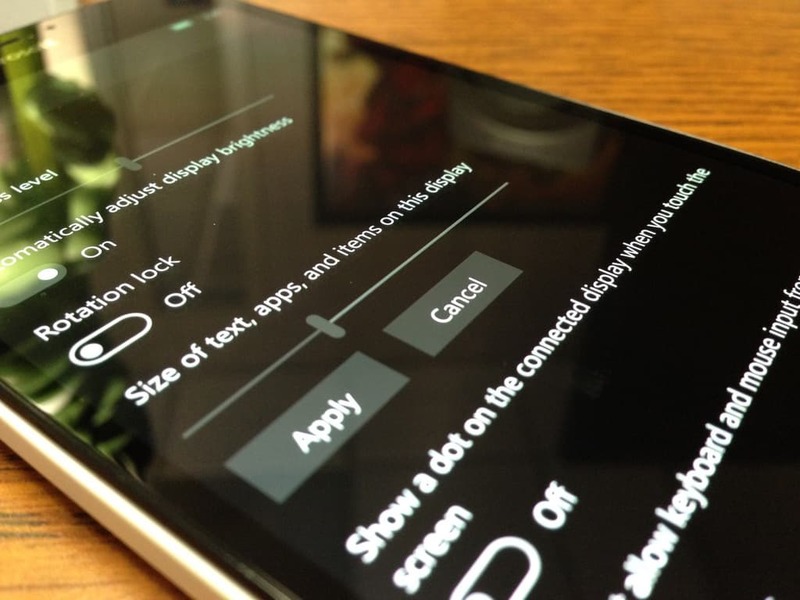 What screen settings have you set up on your Lumia 950?